<< Necrontyr Pathways & Bridges available NOW!! 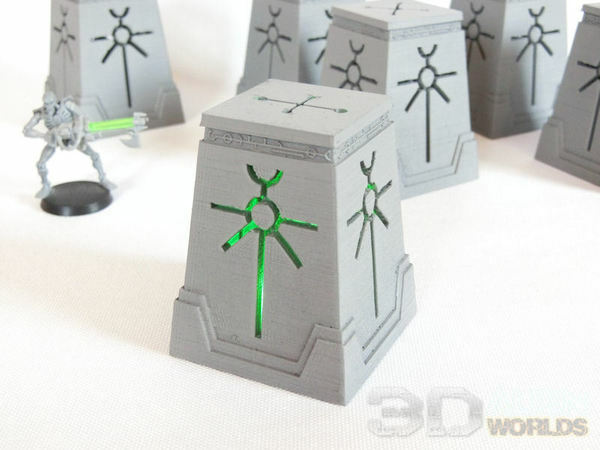 After some feedback from you guys, the original size of the Necrontyr Objective Markers has been reduced to 75% of the original. It looked like the prototype was just too darned BIG to work as an objective! Thanks for the feedback, everybody! 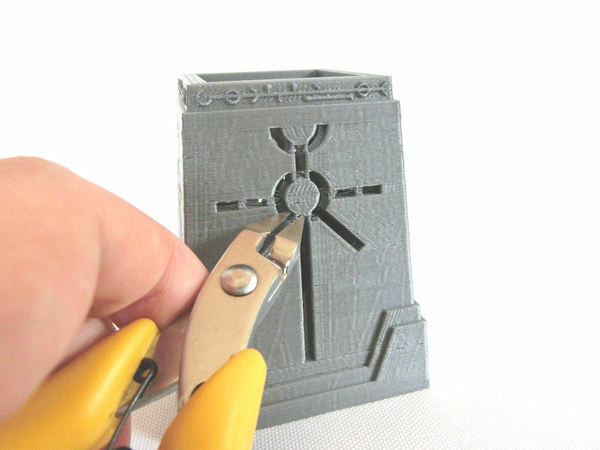 ▲ To ensure the Necrontyr symbol prints cleanly, there are several built-in supports which will need to be trimmed off with clippers or a sharp knife. The interior also has similar supports, and we advise removing some of those too - it will look much better if you plan to add LEDs later. 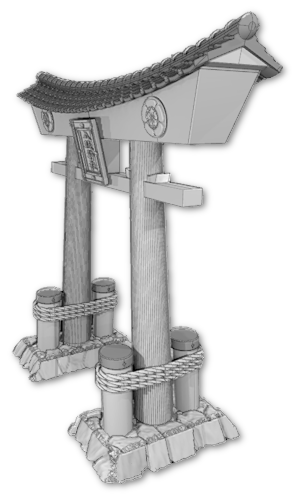 However, please DON'T remove the interior supports holding the central circle in place, or it will fall out! Lastly, we recommend removing these supports before attaching the tops in place. It will give you better access to the inside. 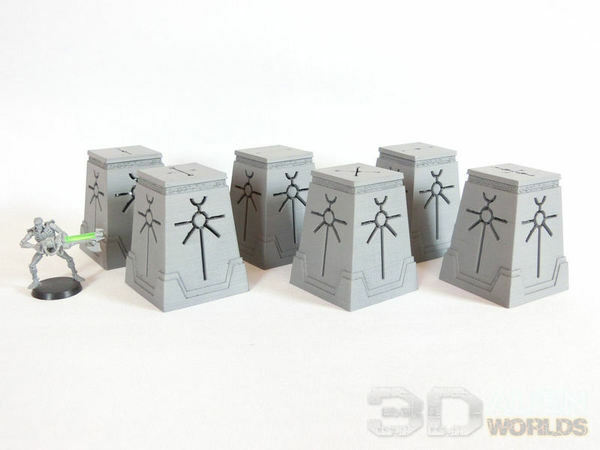 ▲ This is the full set of 6 objectives, with their numbered tops attached. 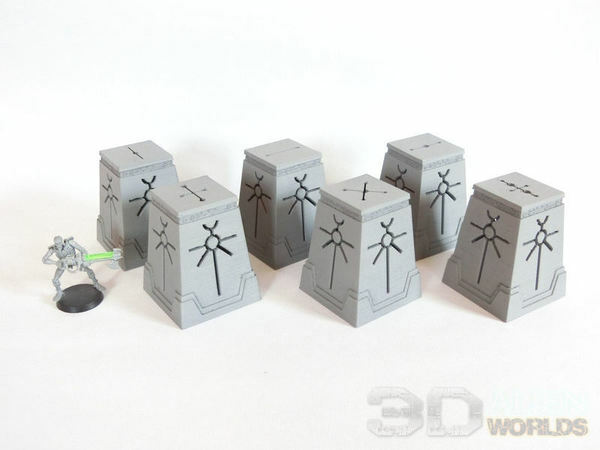 ▲ This smaller size seems to suit objective markers much better, but still keeps the 'monolithic' grand scale of Necron-themed terrain. ▲ Even without any further work to diffuse the glow evenly (that will come later! ), you can see how it looks with a simple green LED inside.